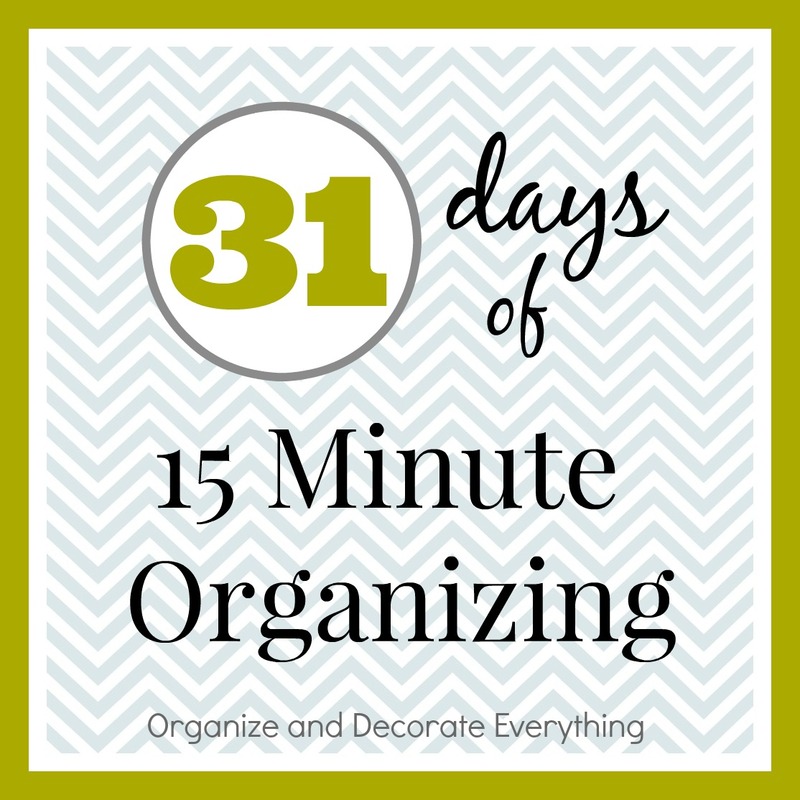 Okay, I realize there is no way you are going to get your whole craft space organized in 15 minutes. I’m talking about one little space, like: buttons, fabric, paint, scrapbook supplies, craft papers, yarn, wood, a drawer, etc. 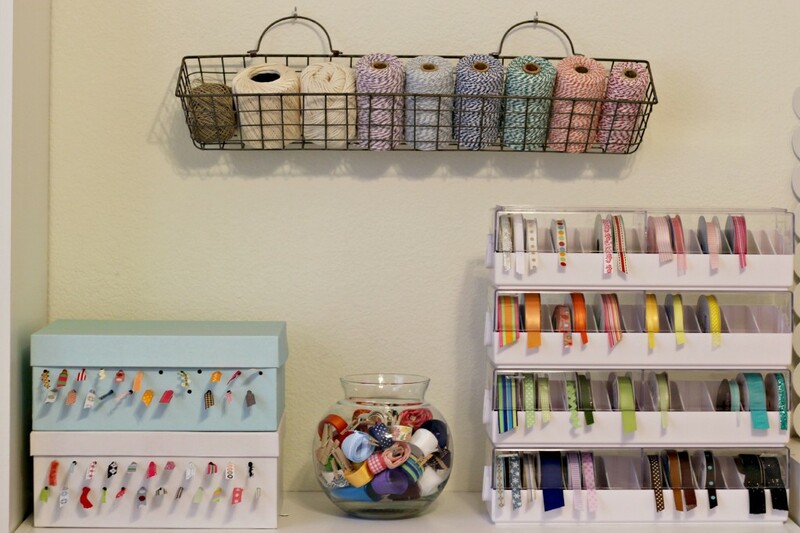 By getting at least one space organized it will motivate you to continue and get the rest of your craft supplies in order. Remember as you are going through your things to toss or donate items you haven’t used in a year. Those things are just taking up space and not leaving room for things you really use. Set your timer for 15 minutes and get busy. Work as fast as you can, starting and finishing one space at a time. This process makes it easier if you only have a few minutes at a time. Here are a few suggestions to get you started. 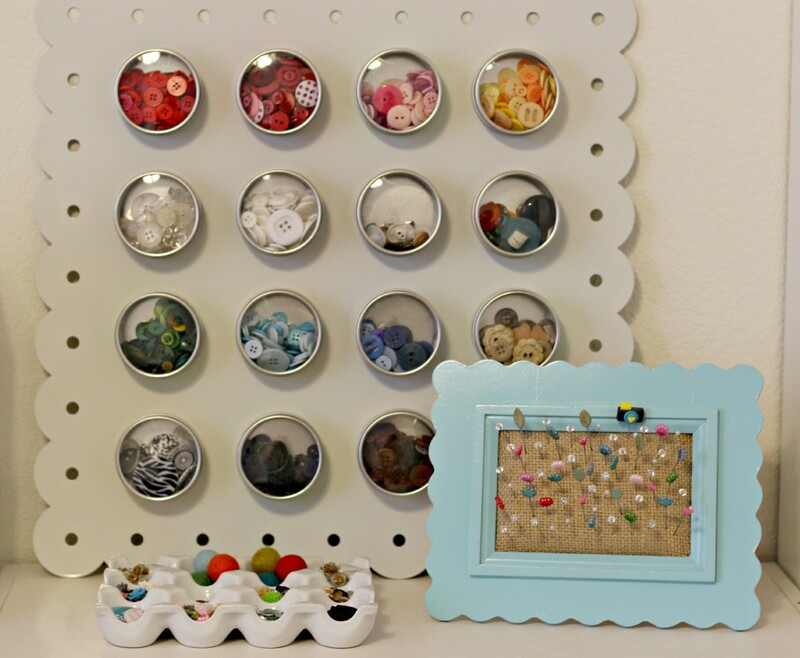 Organize your buttons in separate small containers. You can display them or tuck them away in a drawer. 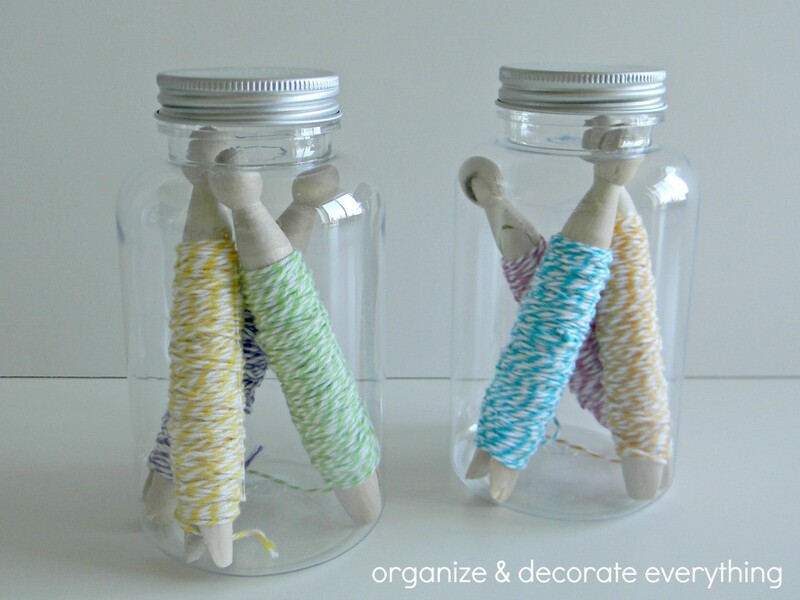 Wrap your twine around clothes pins a store them in a jar. 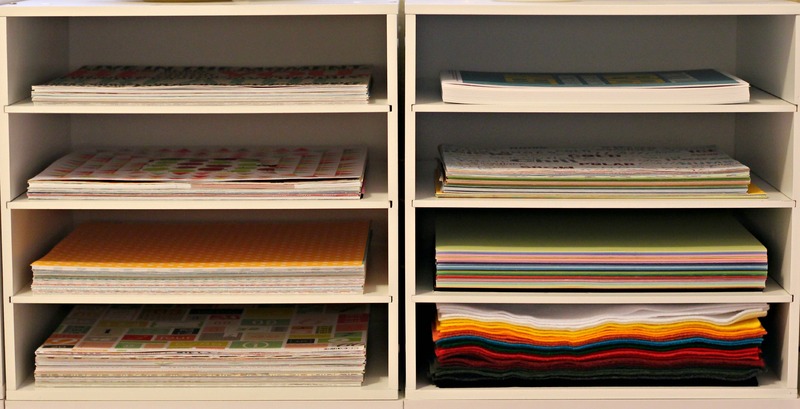 Organize your papers by color, pattern, size, season or holiday. Organize ribbon and twine in store bought or DIY containers. 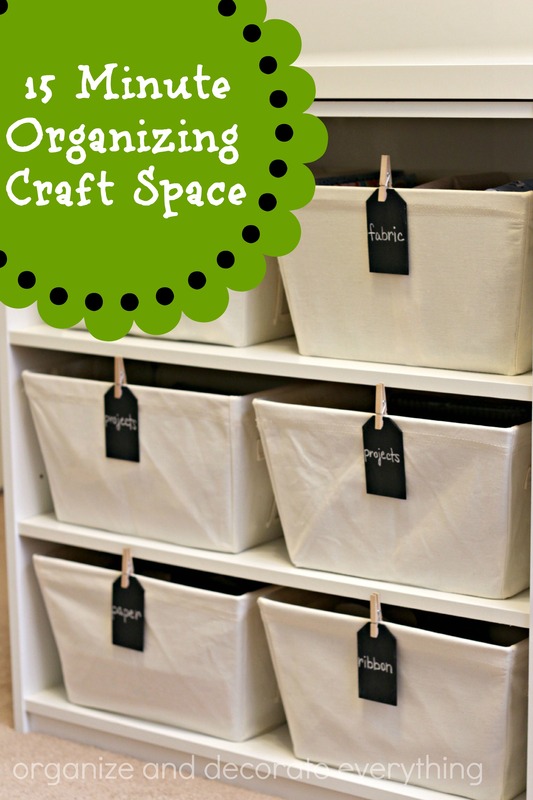 Check out more of my Craft room here and here and here for more ideas.